The above Online marketing resources and tools are easy to use by Small Business Owners and using this you can support web site promotion work performed by an individual or SEO company. You are NoWhere on the Search Engines Why? You have wonderful products and services, you always hymn “Customer is our king” and you have showcased some of the best services that anyone in your industry can feel proud of! Then wondering why still is your website not visible in the top searches of search engines? There could be many reasons why still your website is being buried somewhere deep inside the search engine results. • First and foremost thing to start with is to choose URLs that are keyword driven, so that users land exactly on your website when they type those keywords! • The first best thing would be to check if your website has been listed in the search engines or not. This can be checked by typing out the website URL in the search engines and checking out if the result is showing your website as a result or not. It should ideally show a result of your own website, thereby proving that your site is actually listed. • Another essential thing to be noticed is to have more of written and relevant content in your website. Now this does not mean you just fill your website with keywords, just for the sake of getting listed in search engines. You must write articles in such a way that are meaningful, relevant to your website at the same time uses important keywords that your visitors might search for in search engines. • Title tag title tag title tag!!! Get this phrase embedded in your brain! The area in the HTML pages that asks for page title is where you must include keyword or keyword phrases, in order to get attention of the search engines. • Next thing would be to include ALT tags to the images in the website. 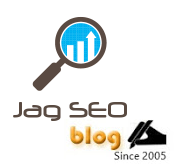 This also helps in the images in your website to participate and contribute its share to search engine optimization. • How popular is your website among the search engines? This is the next question that you must be asking yourself. Popularity of a website increases with more of quality inbound links. The more other websites would link to your website, the more your website’s popularity increases among the net, thereby the search engines. This is done by link building, wherein you submit your website links to other quality and related websites, in order to develop site popularity. Well as I already said, there are many other things that might be one of the reasons hindering your website from coming anywhere near the top search results. But these are few of the important reasons. With these tips, don’t be no-where in search engines, you are Now-here, get noticed!! Keep going! !